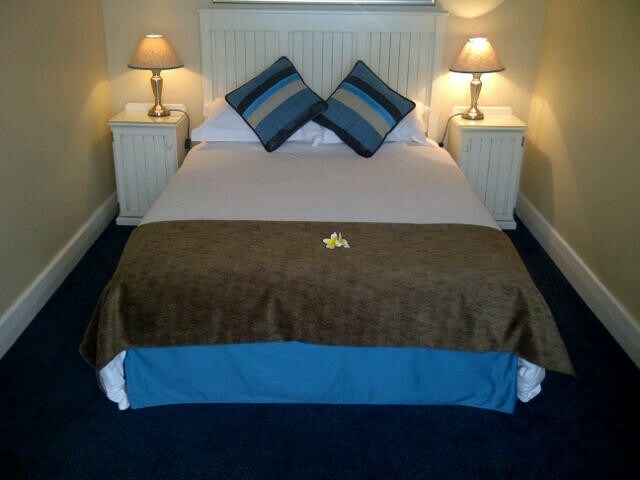 The Russel Hotel in Knysna is a 3-star hotel, which will suit leisure travelers and businessmen alike. 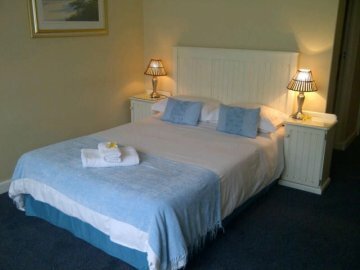 We offer our guests a choice of 18 en-suite rooms. The marbled bathrooms offer shower-in-bath facilities. 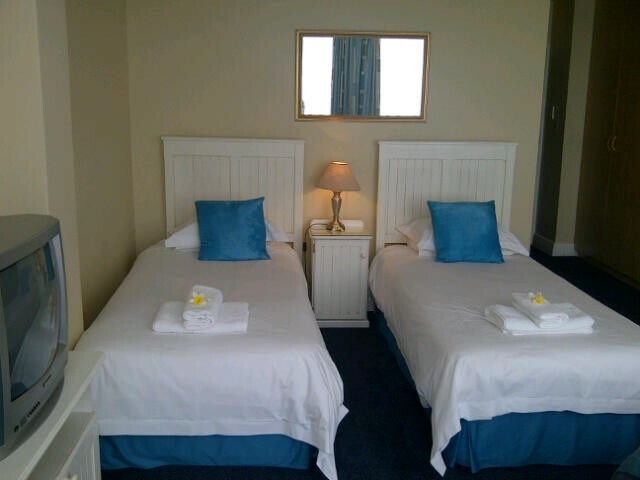 The rooms are spacious and equipped with coffee & tea facilities, TV with selected DSTV and air-conditioning. The secure off-street parking area has 24 hours CCTV Cameras. 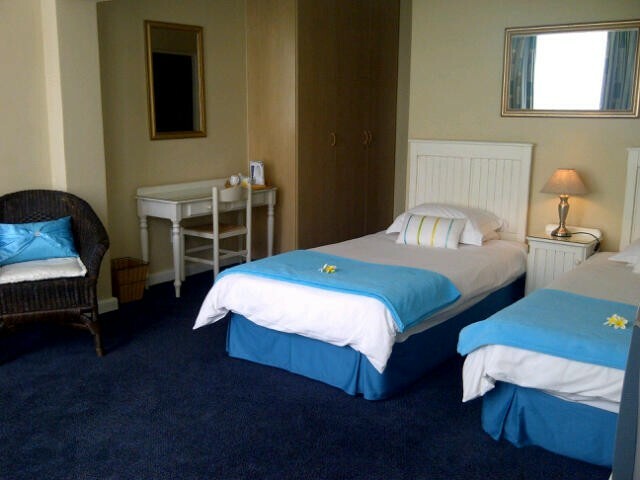 The Hotel offers several room options including single, double, twin rooms and also family rooms. The Breakfast Room provides guests with a hearty traditional South African Continental and Full English. Breakfast in a relaxed environment. The friendly staff is ready to serve you with the 3-star service you deserve! The Russel Hotel is centrally situated within walking distance of all Knysna's diverse attractions, activities and good restaurants. For the keen golfer, there are 7 nearby golf courses to offer. You can enjoy Knysna and its diverse leisure activities: , Squash Courts, Gym, Quad biking, Kloofing, Scuba diving, Paragliding, Mountain Biking, Canoeing, 4×4 trails, Water-skiing, Dolphin & whale watching cruises, Abseiling, White water rafting, Horse riding, Team building on Featherbed Nature Reserve, Lagoon cruise on a ferry or yacht. Close by is also the Elephant park, Snake park, Bird sanctuary, Monkey Land, Wolf Sanctuary, Elephant Sanctuary.